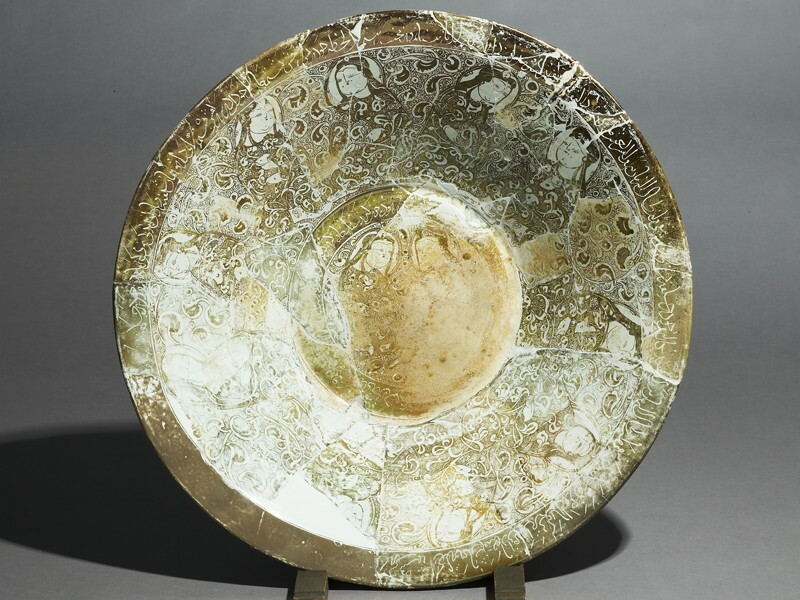 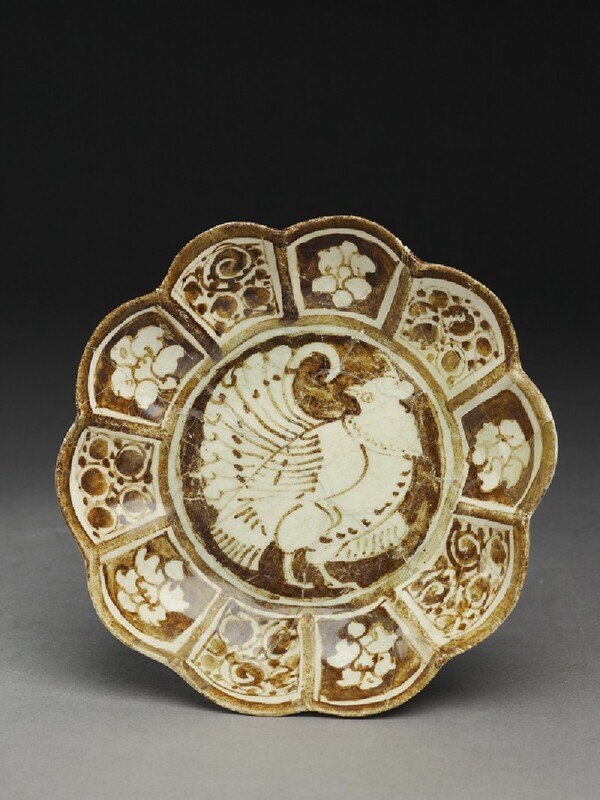 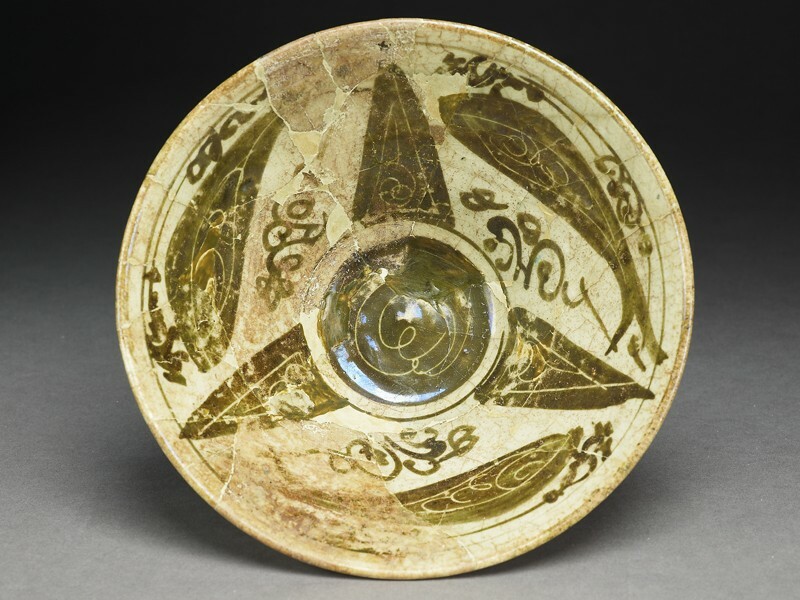 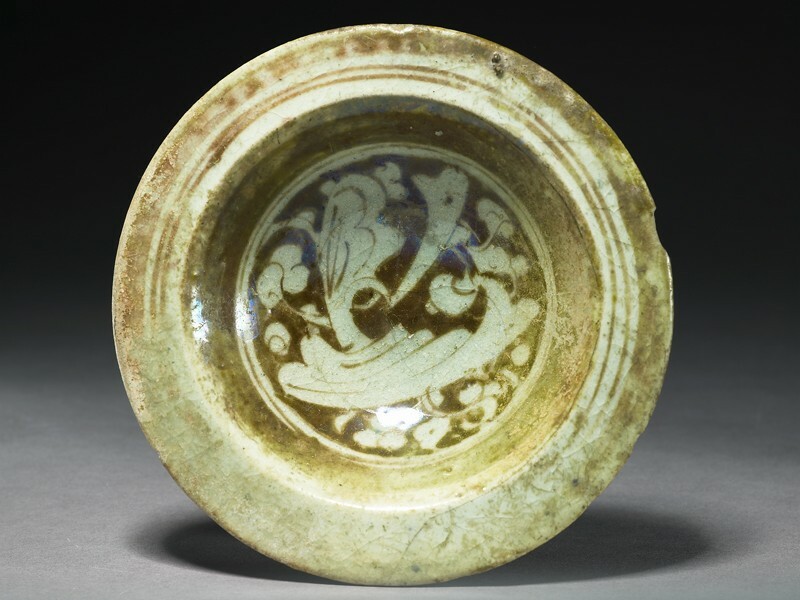 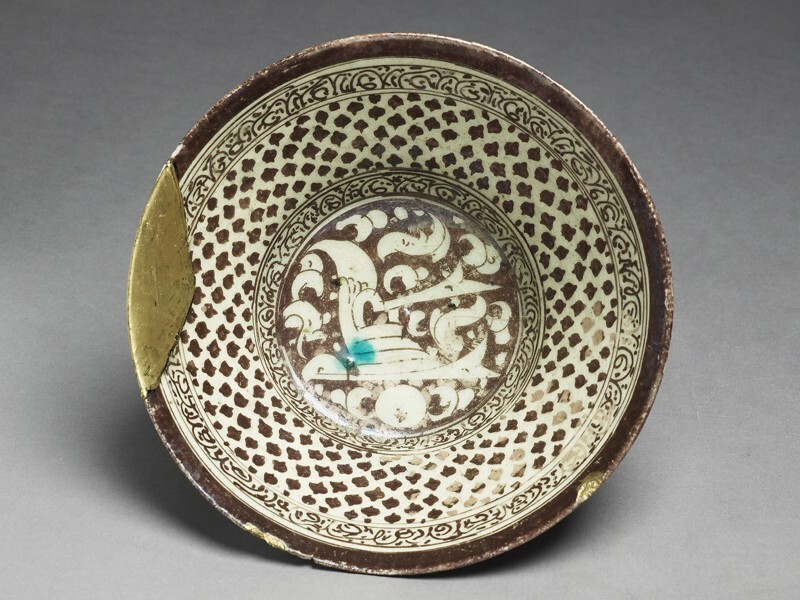 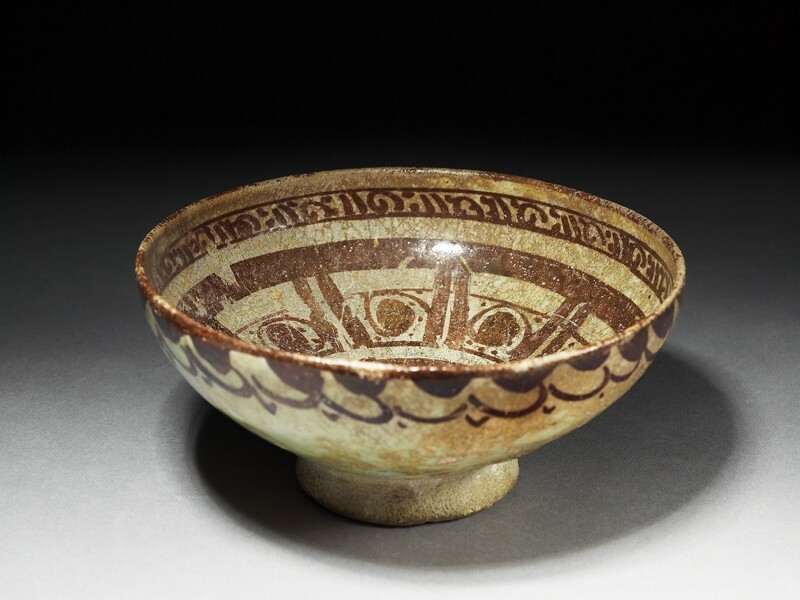 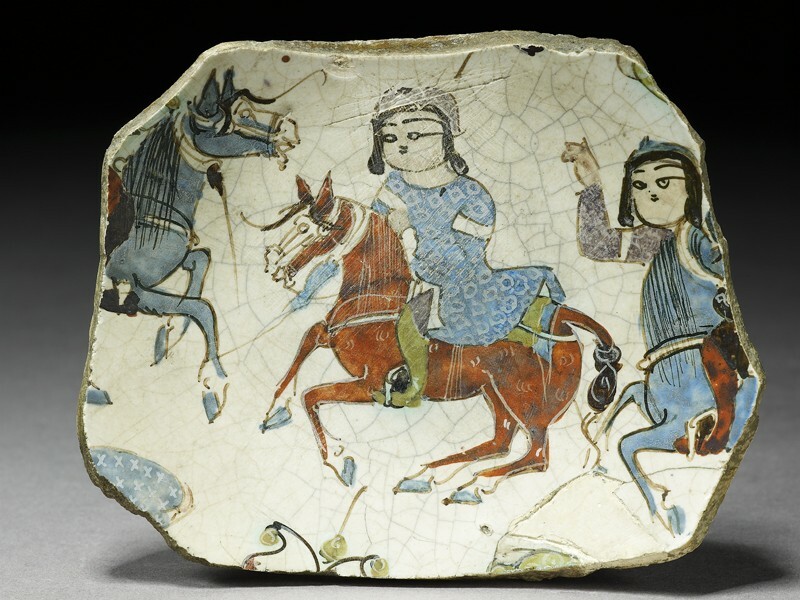 From about 1170 to 1220, Iranian potters in the town of Kashan used the newly introduced ‘fritware' ceramic to make the most refined and sophisticated pottery yet seen in the Islamic world. 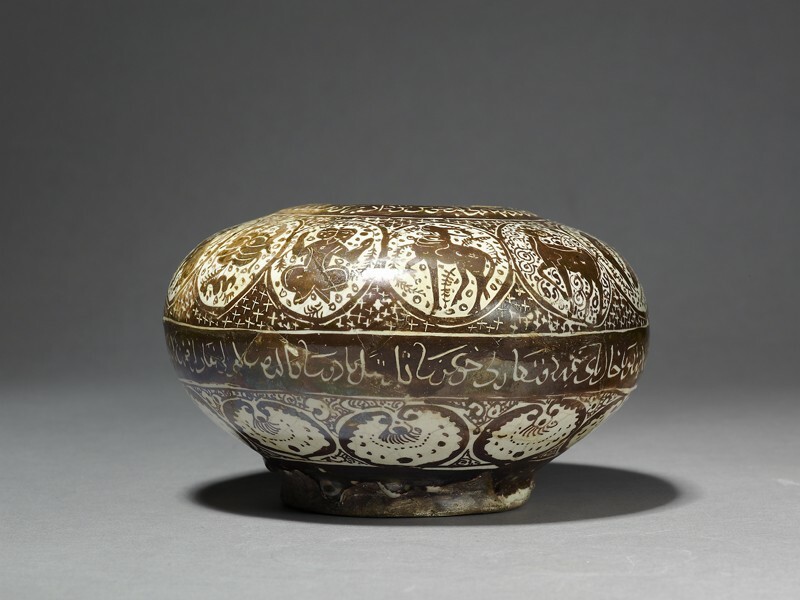 Their finely-made pots often copied the shapes of silver vessels. 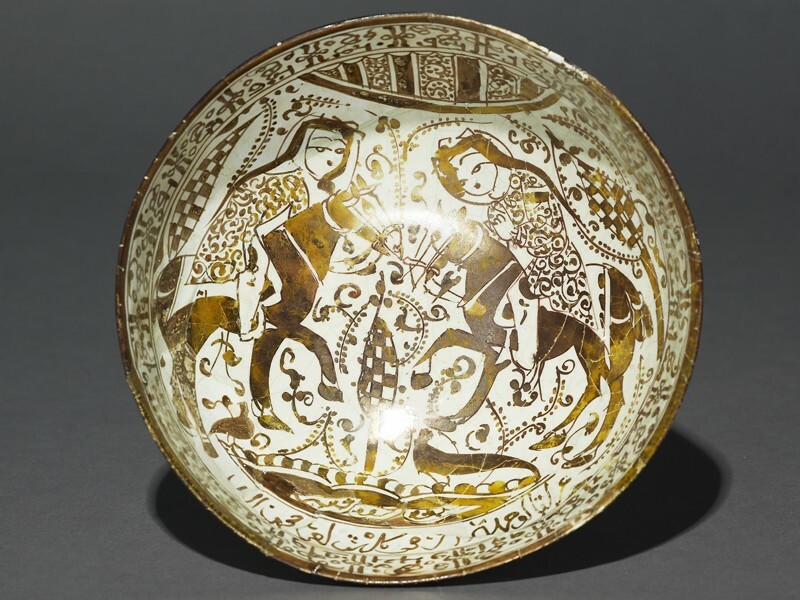 They were decorated with elaborate and detailed images painted in lustre - a technique in use in the Islamic world since the second half of the AD 800s - or with the newly developed method of overglaze enamel painting (mina'i). 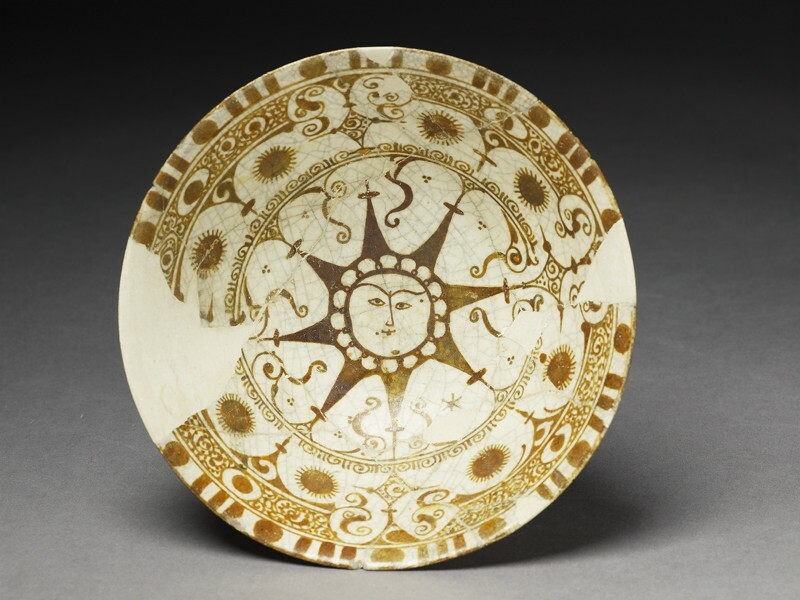 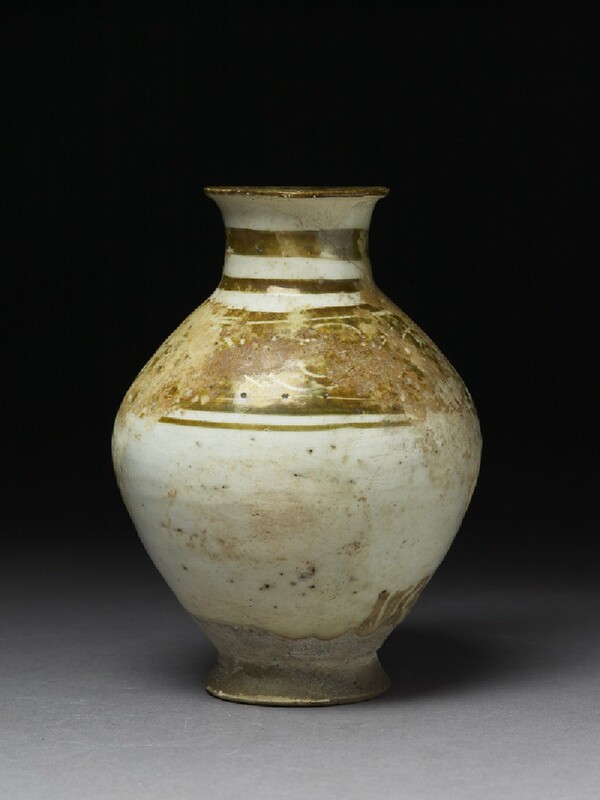 Lustre-decorated pottery was made at the same time in Raqqa and in other manufacturing centres of historic Syria. 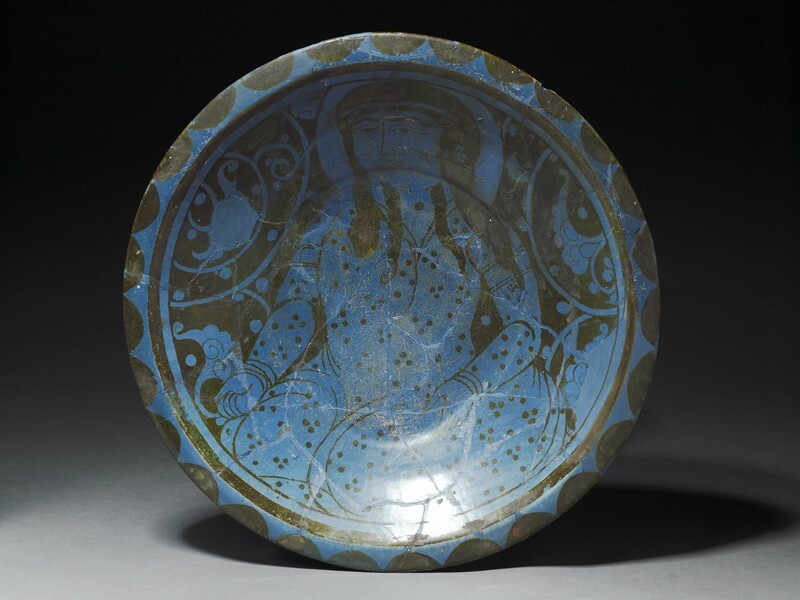 Enamel-painted wares are one of the achievements of Iranian potters of the late 1100s–early 1200s. 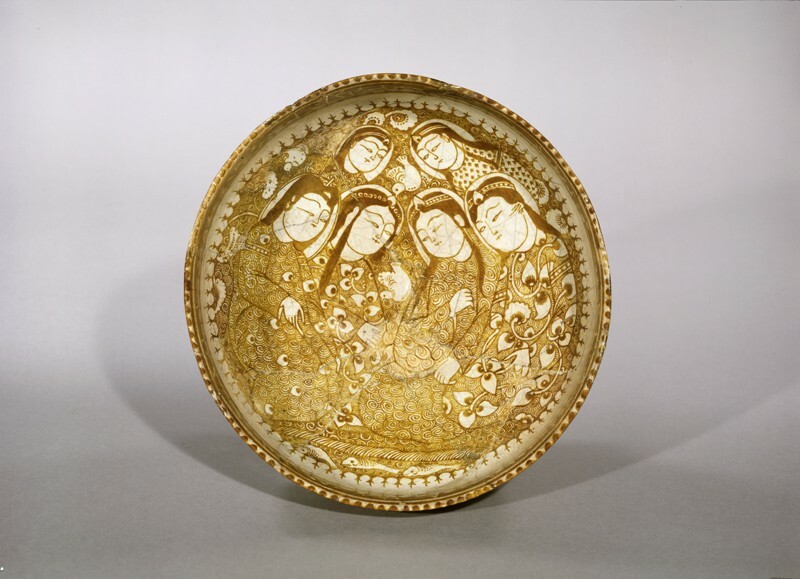 Like lustre, this technique required two firings in order to fix the enamels (usually red and black) and the occasional gold. 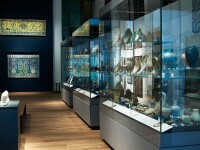 This process made the manufacture more expensive and the risk for the objects higher. 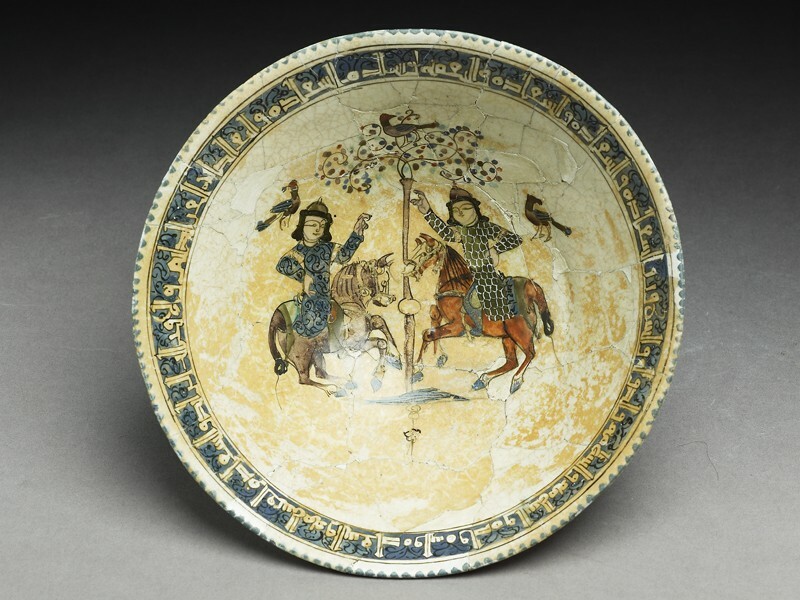 To date, Kashan, Iran, is the only identified centre of production of these wares.